I mean, obviously I still watched. But coming up with snarky observations about these two is like shooting fish in a teeny tiny fish-shaped barrel filled with ten million fish and like, a teaspoon of water. Sadly, something has happened that, for my OWN mental health, we’ll need to discuss here on SND. I had to go wake-up my fiancé and rewind this exchange for him because it was too disturbing to suffer alone. I hopped on Twitter to check out the “soshul meedya” reaction and everyone seemed to be on Danielle’s side. Okay, great. If you were really on Danielle’s side, you’d be less excited about annulment papers and more excited about her maybe meeting with a compassionate psychiatrist – and apparently a good gynecologist. Listen, the last we saw in Miami, Danielle was stalking and harassing her husband. Imagine if all of those exes to whom you said, “We should still be friends!” called you five times a day and flew to your state to scream at you in the street about all of your broken promises. For his part, Mohamed could’ve gone inside. He did not need to call his favorite three-digit phone number. 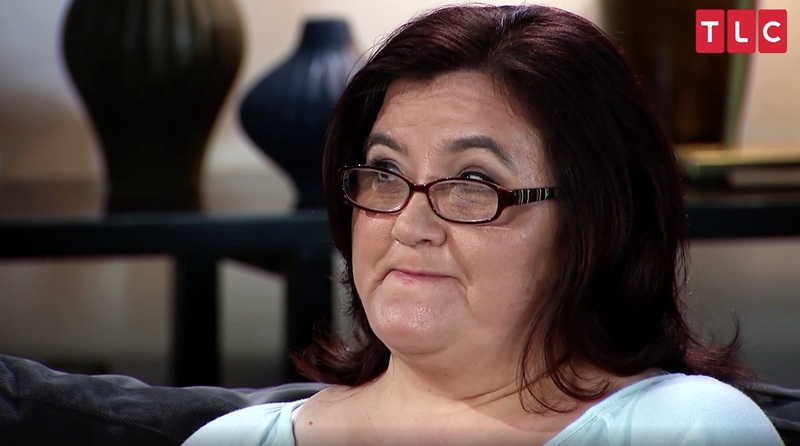 But back to Danielle’s downstairs, I’m amazed to acknowledge the new low that is “90 Day Fiance.” Has it really come to this, my 90 Day Friends? Is this where we are now? Mohamed is getting graphic about Danielle’s privates and the molester that hosts “The Apprentice” has a surreal shot of being elected President tomorrow. What have we become? A new hair-do does not make Danielle ready to take on the realities of a world she is not equipped to deal with. Obviously I await your thoughts. Don’t forget, I’m recapping the new season over on Previously.TV. (That Anfisa is thiiiiiiis close to a coach flight back to Sector 12 of her grandma’s communist apartment building.) And until next time, if ever that time might arise, may all of your commercial breaks be brief!